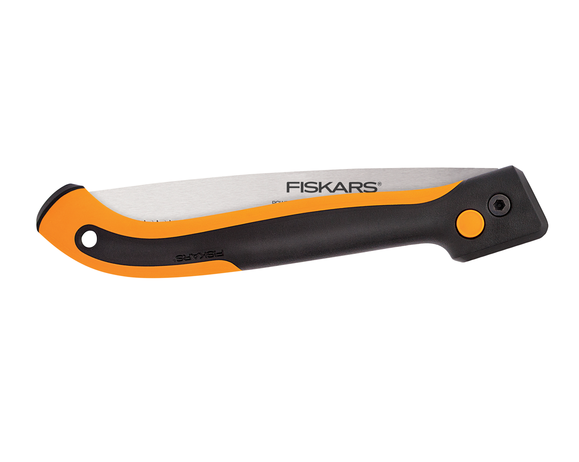 Fiskars 10 inch PowerTooth Softgrip Folding Saw Blade. 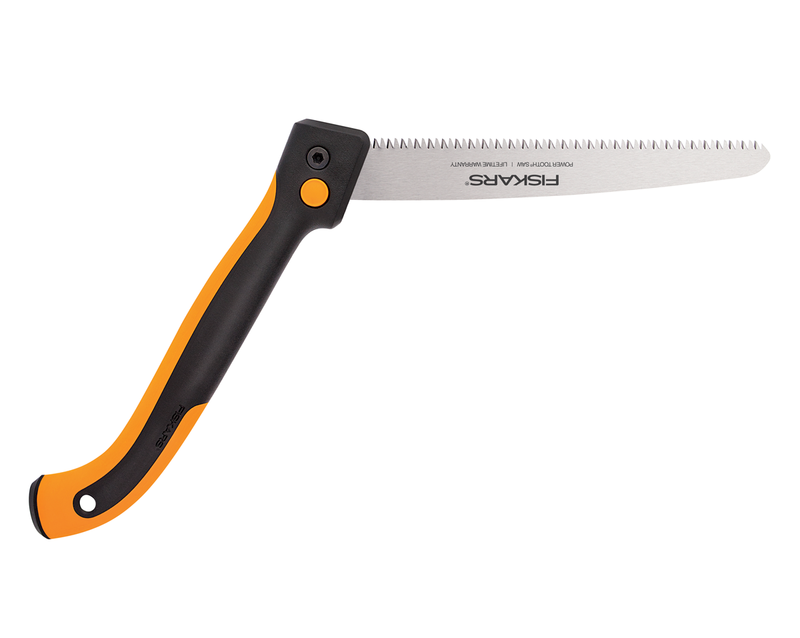 Ideal for cutting thick branches. Power Tooth blade with razor sharp, triple ground teeth powers through wood faster. Blade locks in two different positions, optimized for overhand cuts and under cuts. 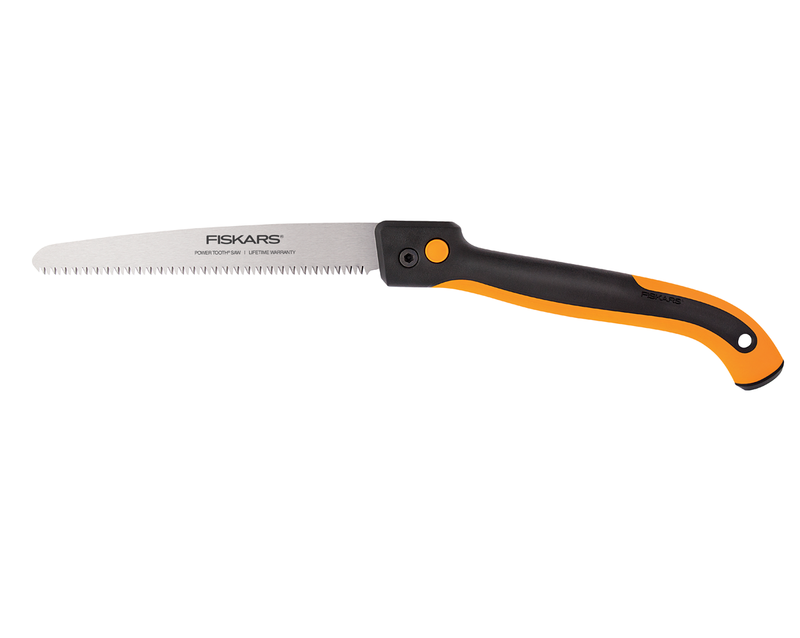 Fully hardened, precision ground steel blade stays sharp, even through heavy use. Soft grip touch points enhance comfort and control.